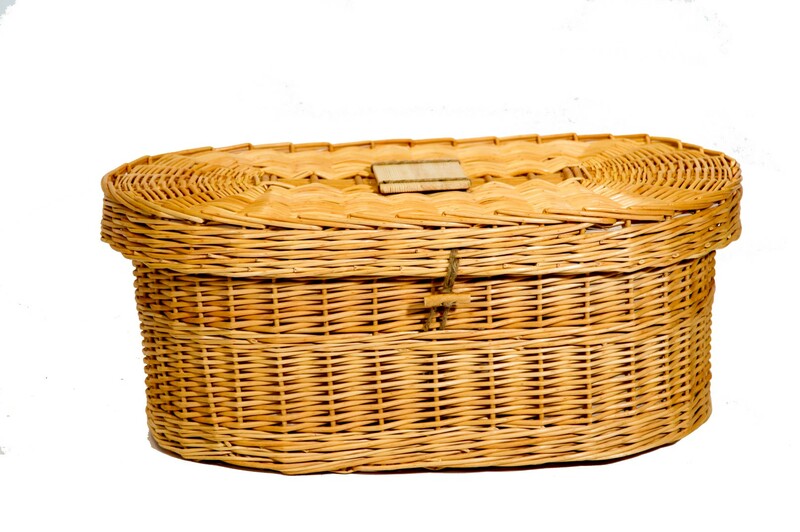 A very popular earth friendly wicker coffin for your favourite pet, suitable for a medium size dog. This coffin is supplied with a padded cream lining, padded quilt & pillow and the lid is lined & has a nameplate on the top. Internal Sizes L: 66cm./26" W: 39cm./15.5" H: 28cm./11"